DRINK SUPER CLEAN AND HEALTHY WATER: These water filter refills remove chlorine and odor and particulates contaminants and bacteria from your water. At the same time, the refrigerator water filters leave potentially healthy and beneficial minerals intact. 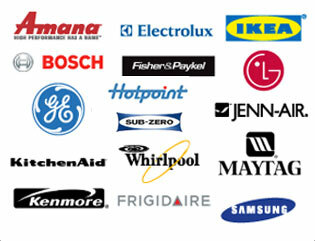 Our water filters are NSF/ANSI 42 certified. WATER FILTERS FOR YOUR REFRIGERATOR: Your refrigerator water filter should be regularly replaced, so ensure that the water you’re drinking is clean and safe. These replacement water filters are compatible with LG LT1000P，LT1000PC，LT1000PCS，LT-1000PC，ADQ74793501，ADQ74793502，MDJ64844601; Kenmore 46-9980,9980; LFCC22426S，LFCS28768S...For more models, please find the product description below. 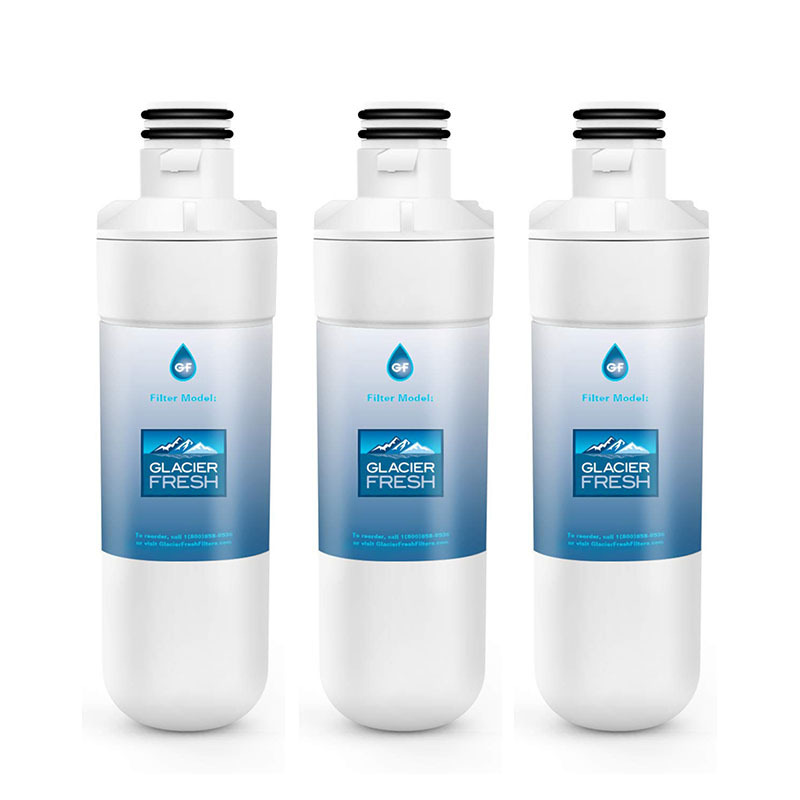 LONG LASTNG WATER FILTERS: GLACIER FRESH has made sure that these replacing refrigerator water filters can last at least 6 months. In other words, each water filter can purify at least 300 gallons of water, so you won’t have to replace them often! EASY TOOL-FREE INSTALLATION: Incredibly easy, fast and absolutely tool-free! The Glacier Fresh LT1000P water filter delivers clean, clear water that looks and tastes great and protects the components of your refrigerator from potential sediment. Enjoy fresh filtered water right from your refrigerator dispenser without worries. Are you unsatisfied with the premium quality and tested efficacy of water refrigerator filters? GLACIER FRESH offers you a 100% money back guarantee, so if you’re not happy with your purchase, you can get a full refund. Works well for my new Profile frid . I don’t like spending ~$45 for a water filter and wish it were cheaper. But at less than $0.15 per gallon and feeling more confident that it’s filtering trace pharmaceuticals, it’s worth the premium price to protect my family. Second time ordering and now a bit less expensive. Really would not trust a neric filter for our frid even if it were cheaper. We use ice and water every day and the cost per day over six months is negligible. Thanks ! Great water filter, works as it is supposed to and the price is cheaper than going to my local hardware store. Is what we need for our refrirator. Easy to replace. Works great. Seems to work fine. Did take a bit to flush the air out of the system after install. Be ready for spraying. I ordered an off brand and had to send back because it didn't fit my refrirator, glad this one fit. This was identical to the manufacturer's filter that came with the refrirator. Saved $5 over the big box store. These filters are required to t water from your 'frig. I would have gotten another refrirator if I had paid attention to the price of these things. Now I am stuck shelling out every 6 months for this thing. That said, this product is good and works in my refrirator. Great filter for our frid. Very happy with this brand of water filters. We use the water dispenser on our refrirator several times a day and the water is fantastic. We live in Florida and water filter are necessary for taste. Water tastes good, still alive. So yeah. This water filter was the manufacturer's recommendation. The fit is perfect and it seems to function properly. After one month's worth of use there are no leaks. After flirting with the neric filter option I decided that the reviews were not strong enough to warrant taking a chance. I would order this again.